June 1st 2019 -Our new Rev. Christopher Samsom will arrive!!! 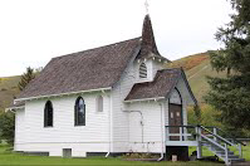 April 21 2019 NO SERVICE at Peace Lutheran Church we will be joining the Church of the Good shepherd for their Easter Service. St Martin’s Church, Fort St John - Service is at 1:30pm each Sunday. We are Currently meeting at the Peace Lutheran Church 108 Avenue. (Map above), Fort St John except in the summer months of July and August. We have been on several sites over this time, and we are now in the process of transitioning from our old church on 100 street, to what we hope will be our new church, on 112 Avenue. In the meantime, we are blessed to be able to meet in the Peace Lutheran Church on 108 Avenue Fort St John. Please come and join us there, or try out one of our sister churches in Taylor or Cecil Lake. The people of St Martin’s Church welcome others to join with us in worship whether you are an established Anglican, a visitor, or someone who is just looking. We promise we will endeavor to make you feel at home. 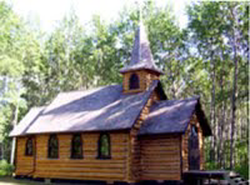 We have had a very long history of doing just that, in fact we were one of the first churches in Fort St John.